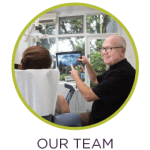 The team at Canterbury Family Dental with Dr Andrew Langton-Joy understand that the relationship between a dentist and patient is a very personal one. With this in mind, we strive to establish a lifelong partnership between ourselves and our patients so you can enjoy a lifetime of optimal oral health with a team with whom you feel comfortable. Each team member is dedicated to making every patient feel welcome and cared for. Dr Andrew Langton-Joy has practised locally since 1986 and has a passion for providing caring, up-to-date, highly skilled dental care for his patients and their families. This commitment to high-quality care is reflected in the staff working with Andrew. 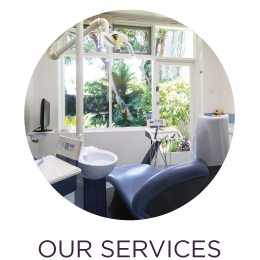 Together they provide quality family, restorative and cosmetic dentistry. 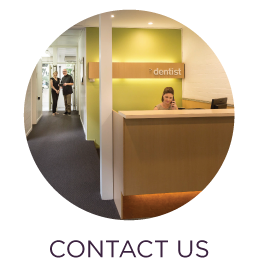 Started in the 1950’s, Canterbury Family Dental is one of the longest established dental clinics in the area. Four generations of some local families have attended the clinic for their dental care. 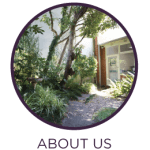 Dr Andrew Langton-Joy graduated from The University of Melbourne in 1985 and has been at Canterbury Family Dental since 1993. Andrew is continually updating his knowledge and clinical skill with regular attendance at seminars and courses. 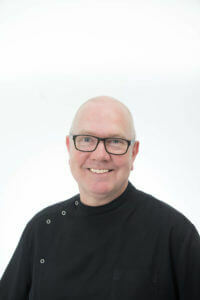 He has attained level 3 accreditation with the Australian Society of Implant Dentistry. Andrew is married to Fiona and has three children, Alice, Harry and Grace. When not caring for family or patients, Andrew can be heard playing guitar with the R&B, soul and jazz band ‘The Bluetone Assembly’. The band performed extensively around Victoria. 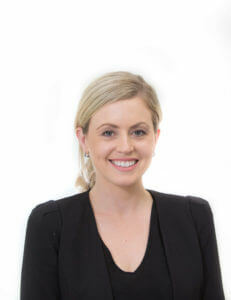 Sheena graduated in 2009 from the University of Adelaide with an Advanced Diploma in Dental Hygiene, before returning to her hometown of Melbourne. She enjoys treating children of all ages and teaching them about their oral health in new and innovative ways, making the dental experience a positive one for all. Patient comfort and a holistic approach to oral health care are important to her, in achieving good results for our patients. She is very competent at diagnosing gum disease, delivering treatment and prevention. Outside of work, Sheena enjoys Pilates and gardening. She is married to her husband Michael, with two children Hudson and Rose and a French bulldog, Junior! 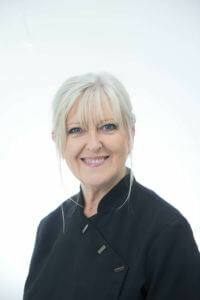 Glenda Cowley is a London trained dental hygienist with over 20 years of clinical experience. 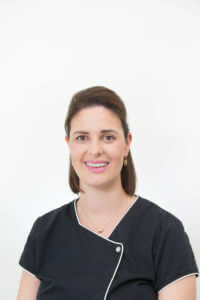 She is as passionate about practising as a hygienist now as when she first qualified and loves to tailor-make individual oral care routines with her patients, enabling them to achieve excellent oral health. In addition, she is highly trained in Dental Sleep Medicine and is experienced in the screening and management of snoring and sleep apnoea. She can be approached to discuss concerns in these areas. Glenda enjoys the madness of the city life, music and travelling. Michelle began working in the dental field straight from high school, soon becoming a qualified dental nurse and working in private practice. She has worked in numerous settings and gained a great extent of knowledge in dentistry. 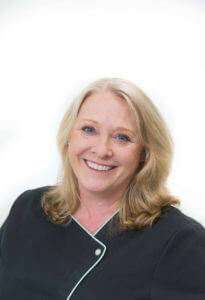 She has worked as a dental trainer, travelling around Victoria and Australia training numerous staff in their role. 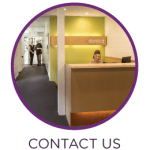 Michelle is now Practice Manager of Canterbury Family Dental and her friendly and professional nature will make you feel welcome as soon as you walk through the door. She strives to ensure that the practice runs to the highest levels every day. Outside of work Michelle enjoys Pilates, tennis, cooking anything ‘Jamie Oliver’ and spending time with her husband Nathan and Cavoodle named Bear! Melissa began working as a qualified dental nurse in Kew before making the move to Sydney five years later to step outside her comfort zone by owning a busy and successful restaurant in the northern beaches. She later returned to her hometown five years ago and back into the dental industry with us at Canterbury Family Dental! Melissa is a valued staff member who has extensive chairside knowledge with her bright and bubbly personality making you feel happy and at ease. Outside of work Melissa enjoys entertaining and socialising with friends over a glass of bubbles. She has three children Hayley, Sarah and Sam and a crazy cat Zedie! Leanne has been working as a qualified dental nurse since leaving high school. 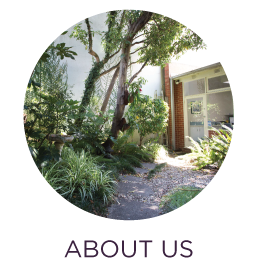 She has worked at numerous private practices over Melbourne which has made her gain a wealth of knowledge and experience in the industry. 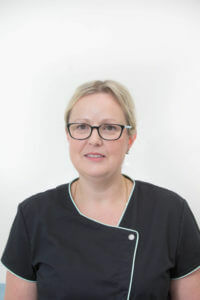 Leanne is a long-term valued staff member with a kind and caring nature which will make you feel relaxed and comfortable at each visit with us at Canterbury Family Dental. When Leanne is not at work, you will most likely catch her in the kitchen cooking and baking up a storm which she enjoys very much…. and so do we!! She also enjoys gardening and travelling the world. Leanne lives with her partner Nigel and has two sons, three stepchildren and a loving cat Pippy Louise!